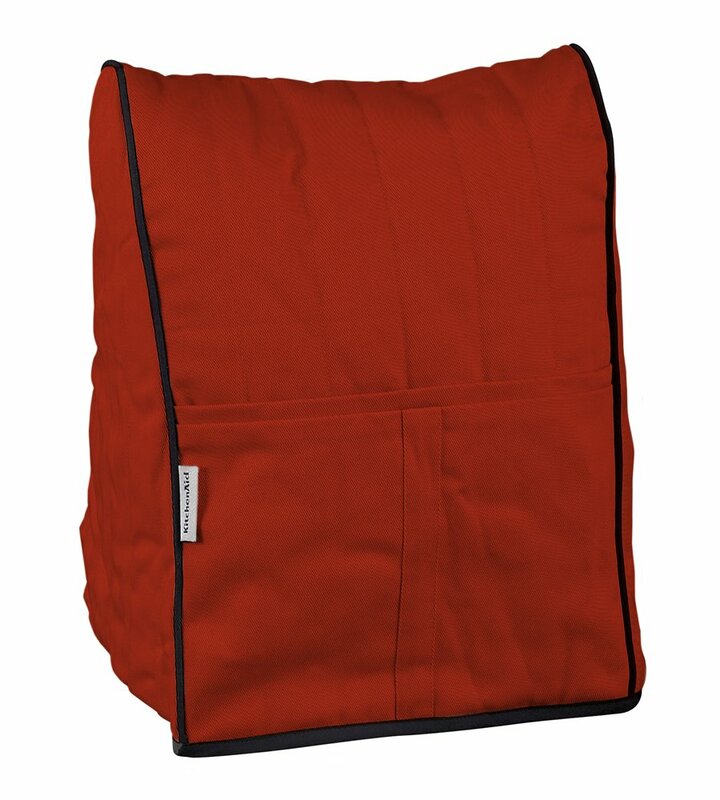 Color: Empire Red Keep your KitchenAid stand mixer free from dust, lint or splatters with thisquilted cotton cover. The stand mixer cover is heavyweight so it stands up toyears of use. It is sized to fit any tilt-head or bowl-lift model. The khakicover with trim coordinates with most kitchen decors and is machine-washable.Dry flat.